These days, it’s pretty guaranteed that when you land in any given city, you’ll be able to find a Walmart, Applebees, and a Starbucks. There are about 33,000 Subways worldwide. nearly 17,000 Starbucks and 13,500 Pizza Huts. Four companies control the meat industry, and six corporations control our media. 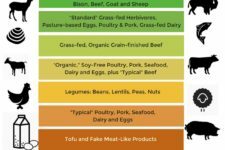 As the world becomes more industrialized and urbanized, our diets and cultures are becoming more Westernized, specialized, processed, pasteurized and homogenized. Geography no longer separates us, and connection to traditions and place are becoming less and less important. Globalization is ruining our food and our cultures. These are the reasons why Boisy Pitre kept messaging me about coming to his Boucherie, a traditional Cajun pig roast of sorts. When he first invited me, I thanked him but said we couldn’t possibly come. 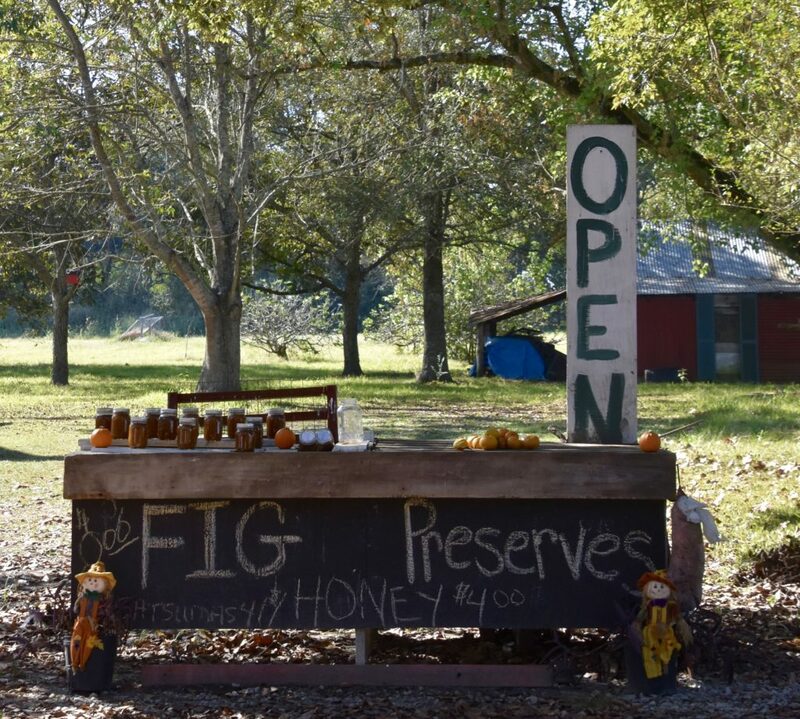 With a busy farm, nutrition practice, two kids and little time to get away, flying down to Louisiana for a party seemed completely out of the question. Then one day this summer, I visited with my Dad’s neighbor, who grew up in Lafayette. When he heard I was invited to a Boucherie, his eyes lit up. He spent the next hour and a half telling me all about the Cajun tradition, and insisted I must attend. I found some cheap plane tickets the next day. After all, the event was going to be over Veteran’s Day weekend, a relatively good time to leave the farm and the kids, and was actually a great excuse to get away and visit a part of the country my husband and I had never seen. Just before we left, Boisy updated the Le Cochon est Roi dans la Prairie Ronde event page on Facebook with a few rules: Leave your dogs at home, no drunk driving so please pitch a tent, no talking politics, and no firearms. The Boucherie was just days after the election, so I thought those last two rules were actually particularly smart. We landed in New Orleans around noon the day before the event, and spent the afternoon driving through swamps to Lafayette, the capital of Cajun country. I have no idea how the Acadians made it through the mosquito, snake and alligator infested landscape. When the British colonized Canadian “Acadie” in 1755, they forcibly removed the French settlers, called Acadians. It was basically a genocide. Those who were not killed were exiled by ships and sent to several different states along the East Coast, some ended up in the caribbean or back in France, and by the early 1800’s, about 4,000 Acadians traveled from France to Louisiana. 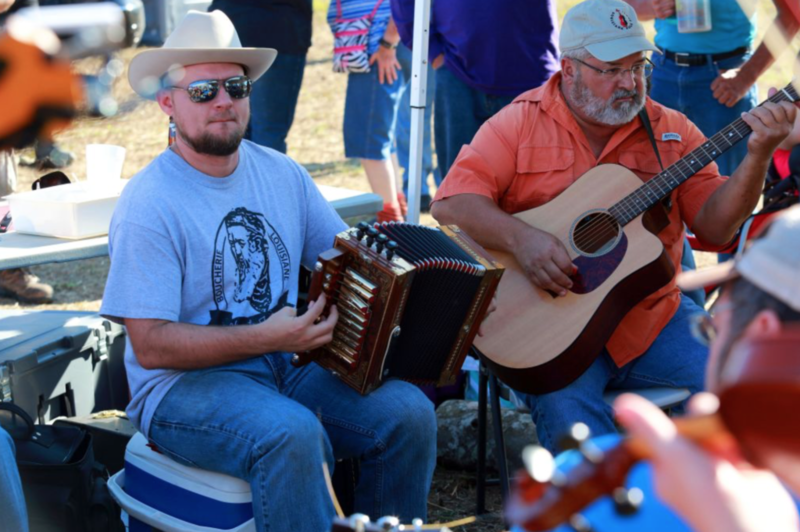 Many headed to the west, a region renamed “Acadiana,” now known as “Cajun country,” unique for it’s culture, music, food and traditions. In the days before refrigeration, whole communities would get together to butcher, process, and cook a pig. They would all share in the work and proceeds of the event. This is quite different from the pig roasts that we host at our farm, where the party starts once the pig comes off the spit. A Boucherie is not just about eating some pork. It’s so much more than a bbq. A Boucherie is a whole day long event, where everyone participates in chopping, cooking, singing, celebrating food and community. We arrived just after 8am on a sunny Saturday morning. The parking lot was already half filled with cars, pick up trucks, and under a nearby tree, there were tents and RVs set up. As we got closer to the event, groups of people were gathered at several different stations. 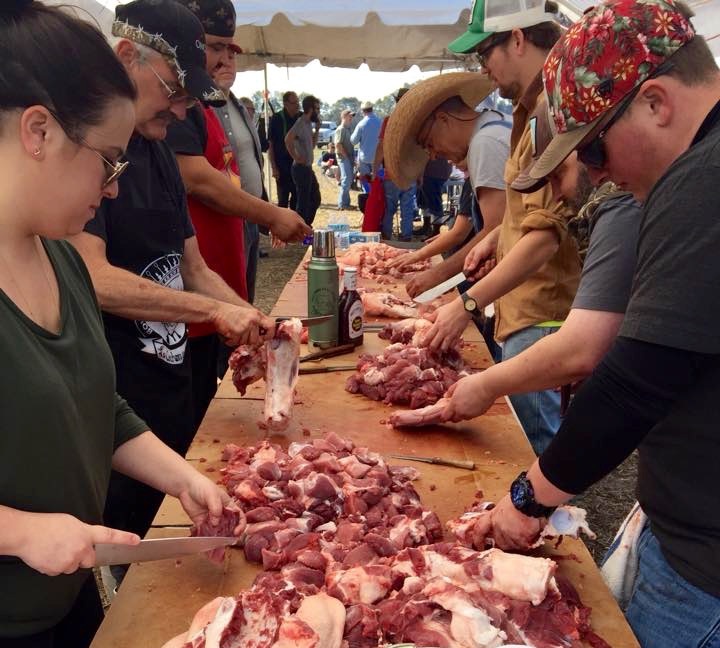 Some were starting up the smokers to get ready for the freshly made sausages and others were chopping vegetables for what would soon be a “backbone stew.” The biggest group was surrounding the pig, which was just killed and now on a table. We hadn’t even been there for more than 20 minutes before Andrew was recruited to help scrape the hair off the pig. They handed him an “hog scraper,” which is basically an inverted metal disc attached to a handle. I stood back (to avoid the flying pig hair) and took photos while chatting with some of the others who I learned, also traveled quite far to attend the Boucherie. 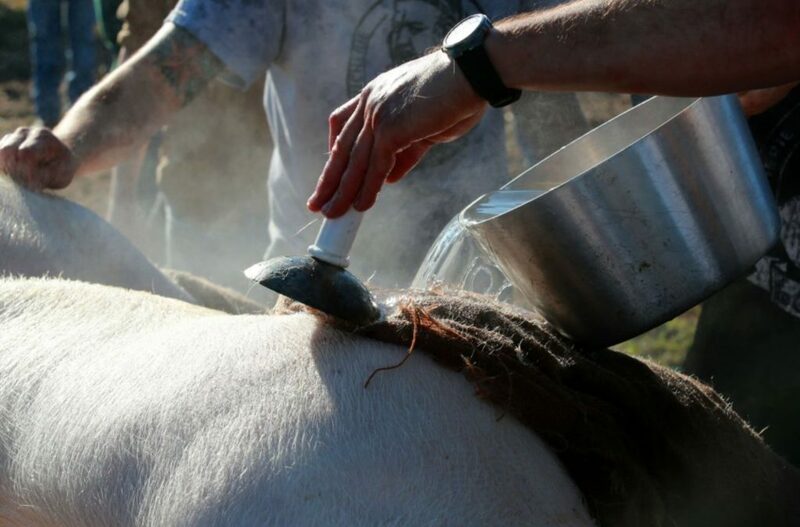 Once the animal was butchered, teams worked on various projects. Some chopped, others grinder the meat and stuffed it into sausages, and a few guys were busy frying cracklins. Even the kids were encouraged to participate, and it was so great to see their knife skills! 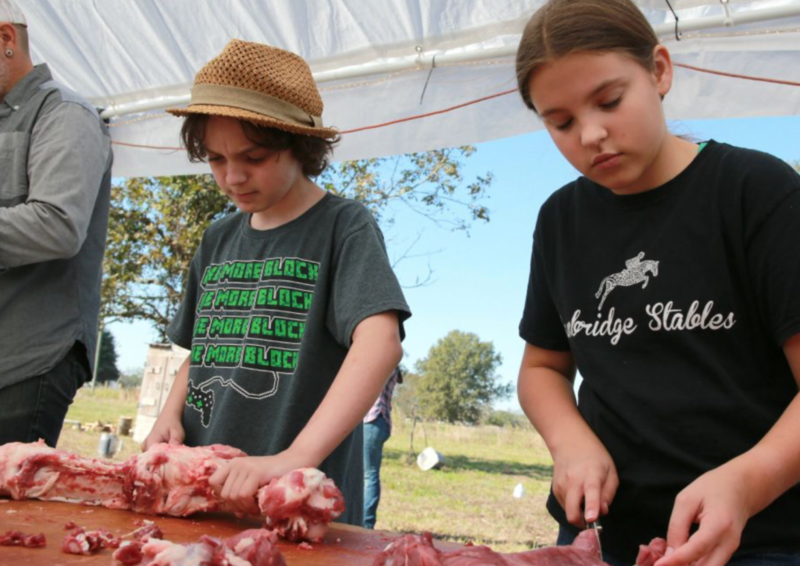 The Boucherie is all about passing down Cajun knowledge to the next generation. Whole families were encouraged to attend. 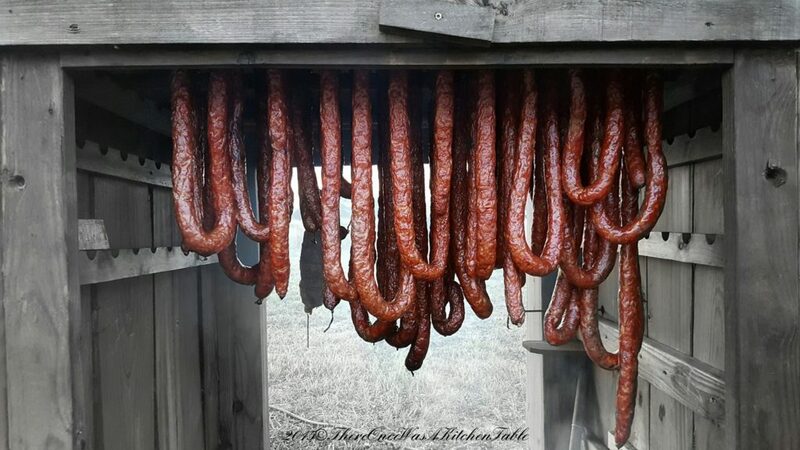 Sausages were stuffed in cleaned intestines then hung in a homemade smoker. Around 2pm some of the food was ready to eat. Boisy (the ringleader of the show) got up and thanked everyone for coming, half in French and half English (many of the kids were running around speaking only French.) You could tell this event meant a lot to him, and he was thrilled to see everyone celebrating tradition, cooperation, hard work, ingenuity, and culture. 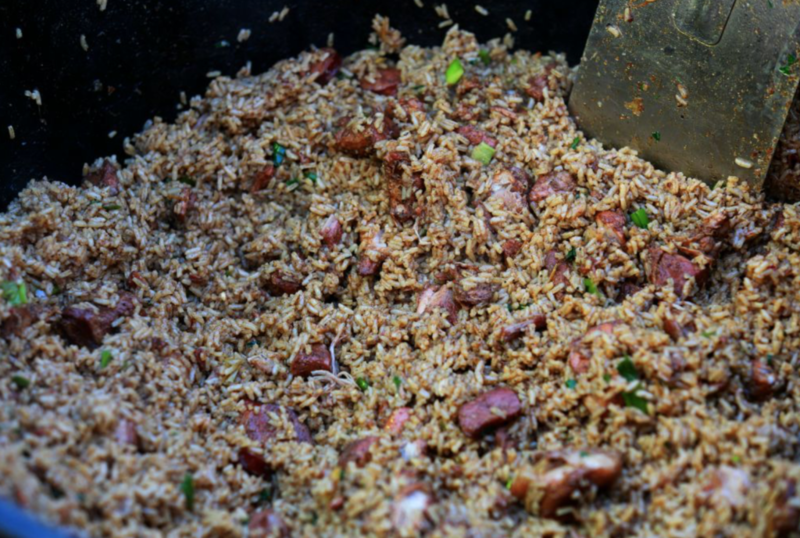 There were many types of stews served with rice, but my favorite dish by far was the jambalaya. While we were eating, the music started. This didn’t seem like a band that regularly practiced together. It was more like a huge mix of instruments and ages, all jamming together. Every once in a while, someone would start singing. All of us would clap each time a soloist finished. There really are no words to describe it. This was truly nose to tail eating. Every piece of the animal was used. Andrew and I took off mid-afternoon to make our evening reservations in New Orleans, a three hour drive away. As we said our goodbyes, everyone told us that the party was just starting. I can only imagine the fun they all had, raging into the night with good food, these odd little glass bottles of Miller Light called “pony’s” that I’ve never seen before (but I guess it makes sense in such a hot climate to have smaller beers so that they don’t get warm), and fantastic live music. Next year, I hope to bring my dad. If you ever get invited to a Boucherie, please don’t hesitate and join in. 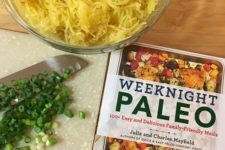 THIS is the type of event that Slow Foods USA could be supporting… We don’t have many regional food cultures as unique as this. 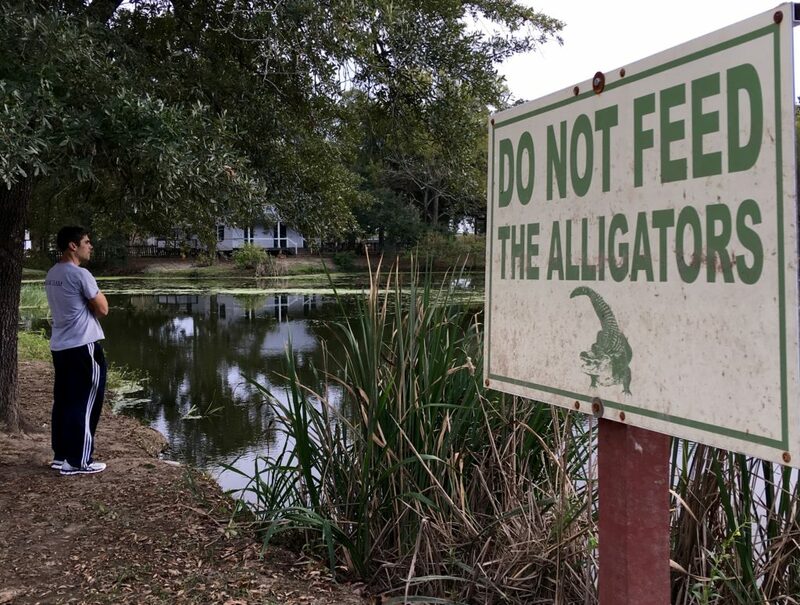 Vive la Louisiane et sa culture! “Bien merci” for this wonderful article, Diana. 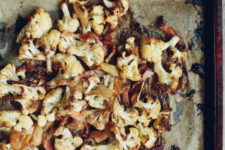 It underscores the reasons for this event: keeping a close connection to our food, sharing the work which builds community, and passing on that tradition to our children. Of course we “pass a good time” somewhere in the middle with music and libations. The boucherie is one way how families down here survived for generations before the advent of modern transportation and modern factory farming, and I believe that participating in this old tradition keeps us grounded today. Of course, the event was a huge success and I am glad you and Andrew were part of it. I’ve never had a desire to go to Louisiana. I’m not a party person so not even Madi-Gras could pull me. Halfway through this article though, I lit up with all the feelings that come with hearing about old-fashioned traditions that are still alive! I told my husband we now have a legit real to go to Cajun country! I agree! 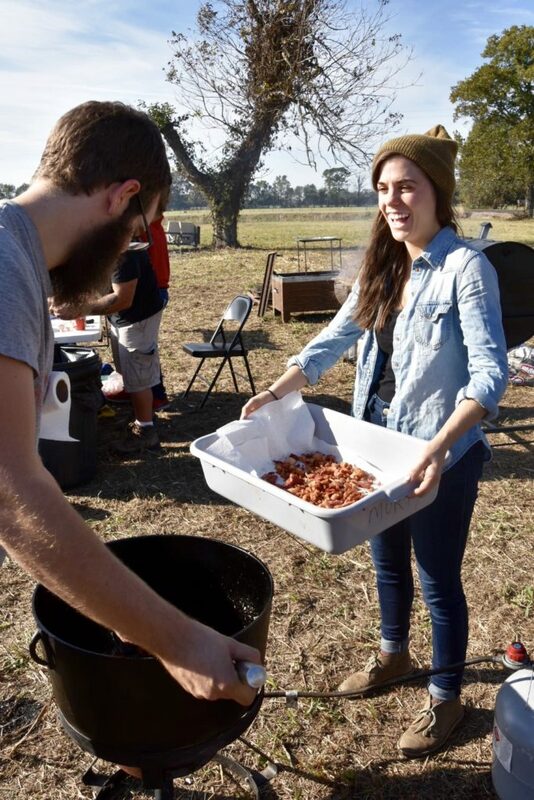 We both completely fell in love with cajun country – it’s refreshingly real. There is a festival in St Martinville, LA called the Boucherie. It’s not quite the same as a community boucherie, but it would give you an idea of what is like. Plus, bands, dancing, and food and crafts for sale. Well done, Diana! Well-researched. Patsy and I truly enjoyed your article. I am so glad you had fun.